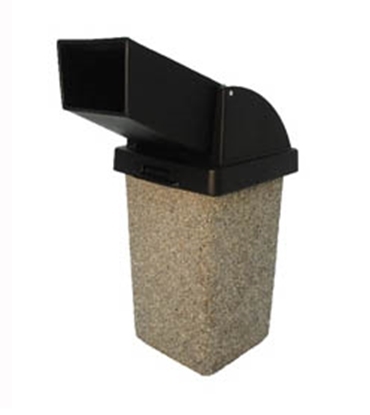 Small Trash Receptacle, 9 Gal. Square Concrete with 4-Way Trash w/Ash Top, Portable, 205lbs. The 9 gal. 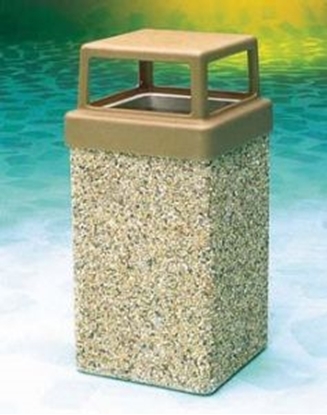 square 14" x 14" x 30" concrete trash receptacle is constructed with full steel rebar caging for strength & durability. Includes plastic 4-way hood, snuffer tray, 10 Lb. bag of black sand, polyethylene liner & security cable. 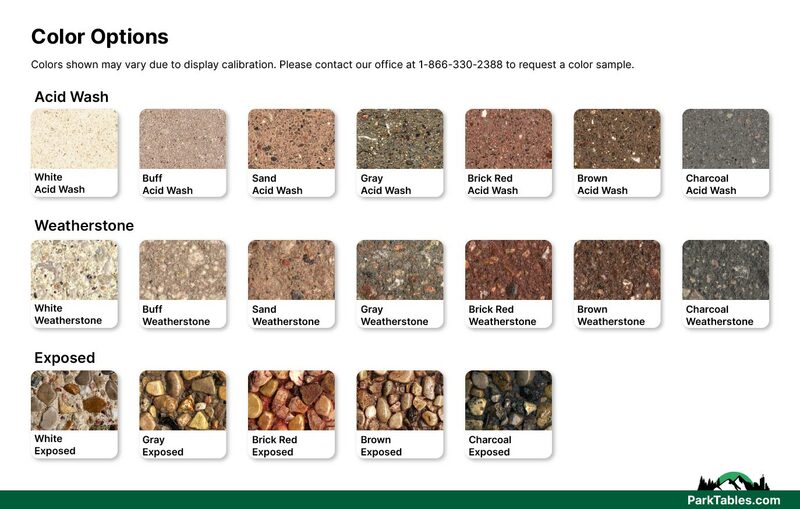 Available in a variety of colors & finishes. Concrete trash cans are low maintenance and vandal resistant in commercial environments. 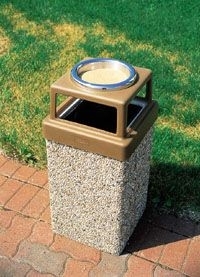 Concrete Trash Receptacle 9 Gal. 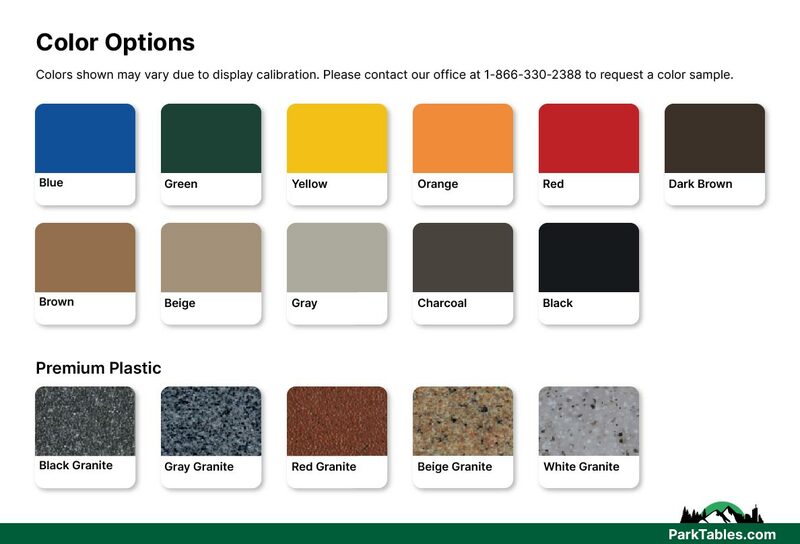 Concrete with 4-Way Open Top, Portable, 205 lbs.